Have a big event? Need Sound for a Fashion Show? Having a Conference or Workshop? Biz Help 101 has the answer to all of your audio production needs. 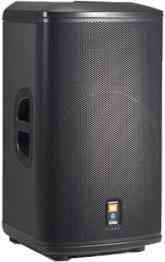 Having an event and you need a sound system or a DJ? BizHelp101 has a professional staff and equipment that will aid you in the event to remember. From 5 to 50,000 people Biz Help 101 has the equipment and the professional staff to equip your event. Copyright © 2019 Marketing and Promotions. All Rights Reserved.